Book It In – World Book Day! There’s nothing better than a good book so let’s celebrate that with World Book Day which arrives on Thursday 3rd March! Sharing a book with the kids is one of the best Parent-Child activities that there is as you’ve seen in our Brainy Benefits of Bedtime Stories post. This is why we’re big fans of World Book Day, a massive celebration of all things reading, book and story related. What’s not to love? It’s time to play Poohsticks because Winnie the Pooh is turning 90! It’s time to celebrate the stories and characters that we have loved for years. Egmont Publishing has revealed that it will be publishing an official anthology sequel to coincide with the 90th anniversary of the publication of Winnie-the-Pooh. Don’t Forget to get your £1 Book Token! Who knows one of these books might be the next generations Pooh Bear? 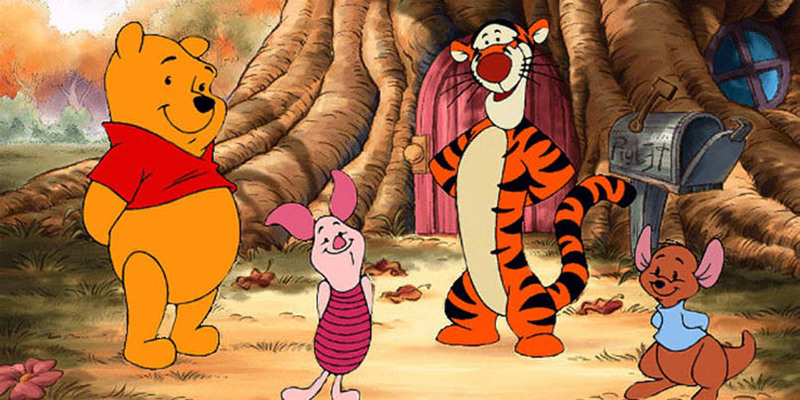 Dress Up Tip: If you’re looking for an easy way to become a resident of the 100 Acre Woods then an easy way achieve the look is to find leggings and T-shirts in the right colours (pink for piglet, yellow for pooh, orange for Tigger). If you then get your hands on some head-bands all you need to do is make some animal ears to complete the transformation! 150th Anniversary of Beatrix Potter and a New Book! 2016 marks 150 years since the birth of Beatrix Potter who has captured the imagination of children all over the world with her beautifully illustrated tales. She was able to accomplish so much in her lifetime, during an era when ambitious women were firmly discouraged from flourishing. 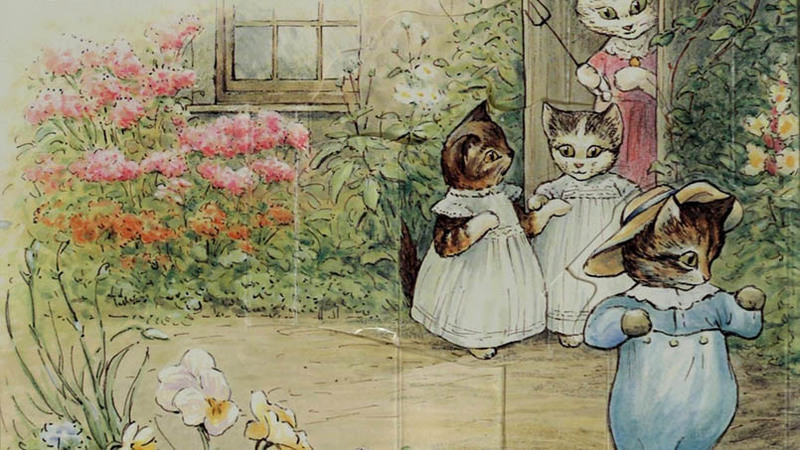 The discovery of a lost work “The Tale of Kitty-in-Boots” which is to be completed with illustrations from Quinten Blake has made this anniversary all the more special. The World of Beatrix Potter Attraction which is only a hop, skip and a jump away have created “Where is Peter Rabbit” The Beatrix Potter Mini Musical running from June to September! Dress Up Tip: The Cbeebies website has a great walkthrough to make Peter Rabbit and Lily Bobtail costumes that only needs clothes and a few craft items to make the cutest bunnies you’ll ever see. The 100th anniversary of Roald Dahl has been all over out Awesome things to do in 2016 and What to do in February Half Term posts. This ex-spy/fighter pilot/inventor/historian of chocolate is being celebrated at the Southbank Centre’s Wondercrump World of Roald Dahl in a unique exhibition that explores the surprising inspiration for his most famous characters and stories (Ticketed). So go check it out and have a splendiferous time! Don’t Forget to check out WDB TV! The have a brilliant collection of book themed videos and films all in one place. They even have the trailer for the new BFG film which is coming to cinema’s later this year! The Witches At The Rose Theatre Kingston. 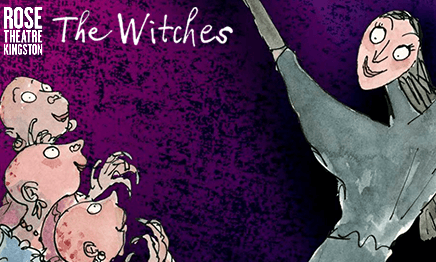 Wickedly Wonderful Family Theatre Based On One Of Roald Dahl’s Most Popular Books. Save on this Unmissable Easter Treat! New Harry Potter Book and Play and Film! We thought it was all over but it isn’t! Apparently 2016 is going to be the most Potter-centric years there is! There has already been the hugely successful Harry Potter Book Night “A Night of Spells” and of course there’s the Harry Potter and the cursed Child play opening later this year (though we probably won’t be seeing it until 2017 with the way tickets have been selling out) but we will definitely be getting our hands on a copy of the NEW BOOK! The Cursed Child Parts I & II are to published on July 31st and is Script Book of the play, we can’t wait! If that’s not enough the Fantastic Beasts and Where to Find Them film arrives in November! Merlin! We’re going to Potter-ed out by the end of the year. Even before World Book Day it’s Dr Seuss Day! A full 24-hours to make a mess with the Cat in the Hat, dance around with Fox in Sox, hear a Who with Horton, count the red and blue fish, help the Grinch see the error of his ways, and listen to Sam I Am’s friend complain about his dish of green eggs and ham, the ungrateful hairball! Don’t forget that last summer the new Dr Seuss book came out! The recently discovered “What Pet Should I Get” was recently featured in one of our competitions check the page for more World Book Day inspired competitions. Dress Up Tip: Turn the little ones into Things! All you need are red trousers and T-shirts and a blue wig. After that you’ll only need to make a little Thing 1 and 2 sign to stick on their tops. They’ll be up to mischief in no time. It’s Shakespeare’s death day party! Stratford-upon-Avon has become the summit of all things Shakespearian but London-town is not to be left out. On the 23rd – 24th April The Globe has created a wonder of short films of each of Shakespeare’s plays that will be showing along the Thames. Running from Westminster Bridge to Tower Bridge it has been named The Complete Walk. Take a wander and introduce the kids to these amazing stories. Dress Up Tip: Period costumes are a little harder to put together on the fly but we found a great DIY Shakespeare walkthrough here and as always eHow has some great tips here too! Eldest of the Bronte sisters who originally published her works (including Jan Eyre) under the pen name Currer Bell. The Bronte Parsonage Museum are organising a collection of ways to celebrate this bicentenary. Check out their #seekingcharlotte social media campaign where they’re trying to find all the Charlottes born on or near 21st April. 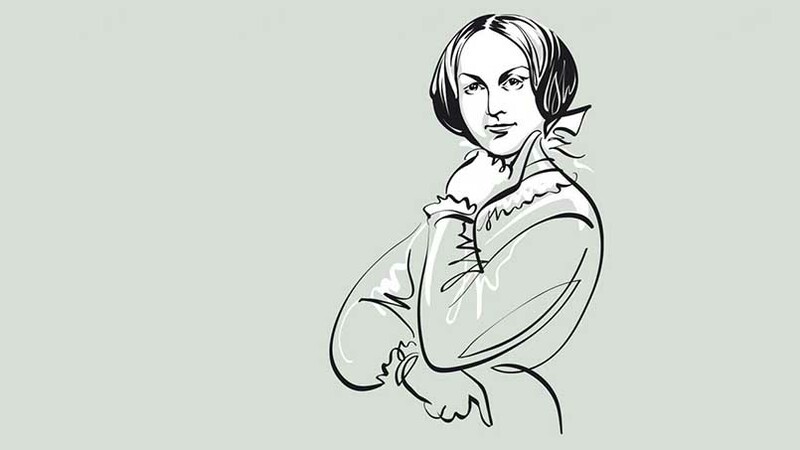 They’re also running a ‘Jane Eyre’ Fanfiction workshop in London later this year! Dress Up Tip: Probably the hardest of all to make a DIY costume for but a generic Victorian outfit will do just fine. A long, dark-coloured dress or skirt with a long sleeved blouse. Add a shawl around the shoulders and a head scarf around the head to accessorise, all of which you should be able to find in a charity shop no problem! If you can’t get a long dark dress/skirt for a child, get a knee-length adult one and tighten the waist with a belt. Plimsolls or ballet pumps on the feet would be ideal.